The managerial merry-go-round has been in full swing over the last few days affecting Peterborough United, Mansfield Town and Swindon Town. It all started when Peterborough sacked manager Grant McCann after a run of four successive draws and only one win in nine games which had seen them slip to tenth in League One. They wanted a big name replacement and opted for Steve Evans, not the biggest name but the biggest manager in English football. He was at Mansfield and that has now led to them poaching David Flitcroft from Swindon Town; Flitcroft has moved from one club in a play-off position to another in the same position, albeit he’s moved up two places in the league from seventh to fifth. 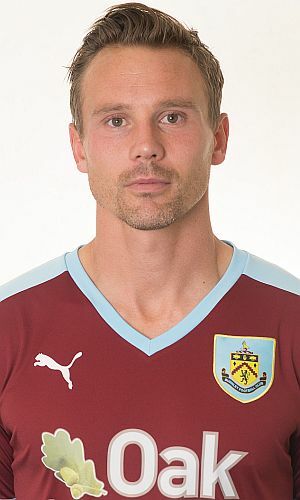 Taylor spent two years at Burnley from 2014 to 2016. Injury hampered his first season and he struggled to get too much game time in the second season as we went on to win promotion as champions. He certainly played his part though with some superb cameo appearances, none more so than in the draws against Brighton and Middlesbrough in which he got assists on both of the late equalising goals. After leaving Burnley Taylor, who has now played over 600 league games in his career, had a season with Northampton Town and early this season moved to Swindon for whom he’s played 27 times and scored four goals in League Two, including a recent superb free kick at Wycombe, to add to a number of assists.